Here is my latest cabinet – a gorgeous Yellow Cute. My Project Yellow Cute needs a lot of work and progress is slow with work, the wife and a new baby daughter. This Yellow Cute is in excellent condition and was ready to go straight in my games room. 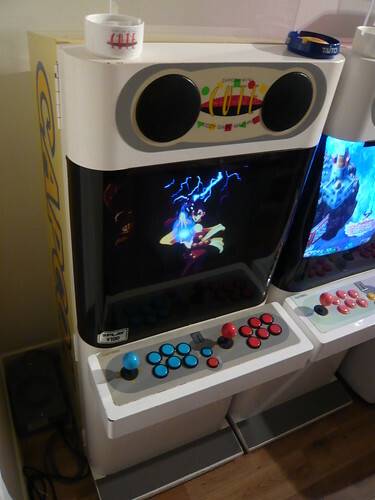 The cab is totally original and very clean with only a few minor marks. 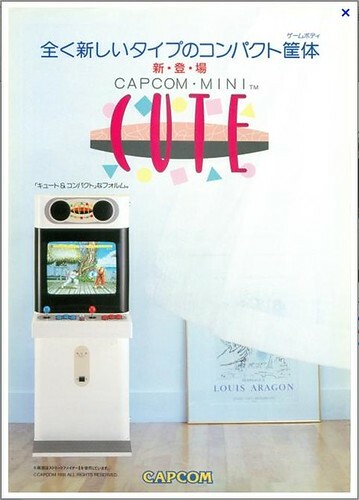 The monitor has a beautiful zero burn Toshiba tube and a Sanwa chassis (M1723E). I just need to add some art to the marquee holder then I’m done! 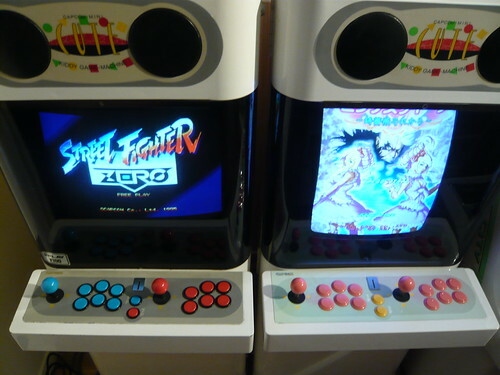 At the moment the cab is host to an old favourite – Street Fighter Zero. 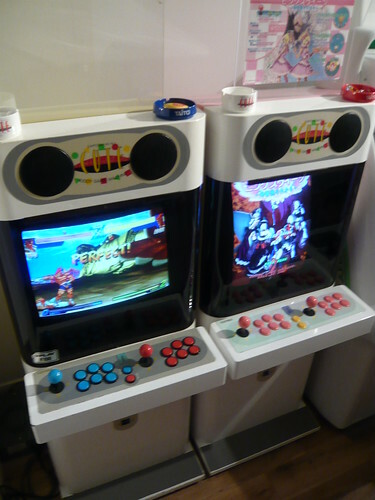 A massive thanks to Slugflyer (Arcade Otaku) for this awesome cab!